Lanika Ortega was not just a friend, she was more like a sister. She was a loving Wife, Mother, and Grandmother. Lanika was someone whom I looked up to because of her eagerness to be sucessful. She was so facinated with education and getting as much of it as she could. Lanika stayed focused and determined through it all and earned her Ph.D. Lanika was offered a job in Yuma, Arizona, which she then decided to relocate from Wilmington, North Carolina. She was so excited for the start of her new journey. As we all know, everything is not always as it seems. 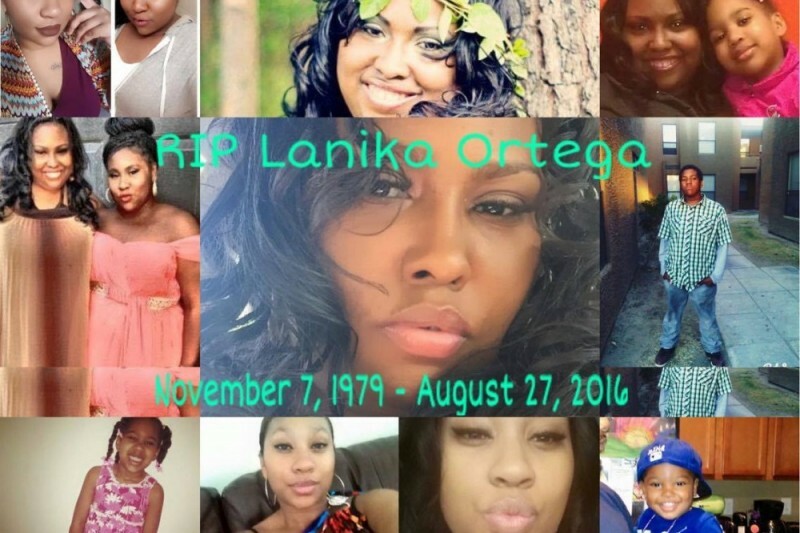 After 2 years of residing in Arizona, Lanika was stabbed to death by her husband and father of her three children on Saturday, August 27, 2016. It's a shock to many because she was such a loving and caring person who didn't deserve to leave this Earth the way that she did. Her 21 year old daughter now has to be a mother and father for her two younger siblings, along with two children of her own. No one should have to go through such sadness, and such a tragic loss. I pray that God will put it on whoever is reading this heart to be a blessing to help Lanika Ortega's children take care of their mother's expenses. So, so sorry Lanika. RIP.